Gum disease is a common condition among adults that occurs when bacteria form biofilms or plaques on teeth, and consequently the gums become inflamed. Some severe cases, called periodontitis, call for antibiotics. But now scientists have discovered that wild blueberry extract could help prevent dental plaque formation. Their report in American Chemical Society’s Journal of Agricultural and Food Chemistry in September 2015 could lead to a new therapy for periodontitis and a reduced need for antibiotics. A release from the society notes that many people have had some degree of gum inflammation, or gingivitis, caused by dental plaque. The gums get red and swollen, and they bleed easily. If left unchecked, the condition can progress to periodontitis. The plaque hardens into tartar, and the infection can spread below the gum line and destroy the tissue supporting the teeth. To treat this condition, dentists scrape off the tartar and sometimes have to resort to conventional antibiotics. But recently, researchers have started looking at natural antibacterial compounds to treat gum disease. 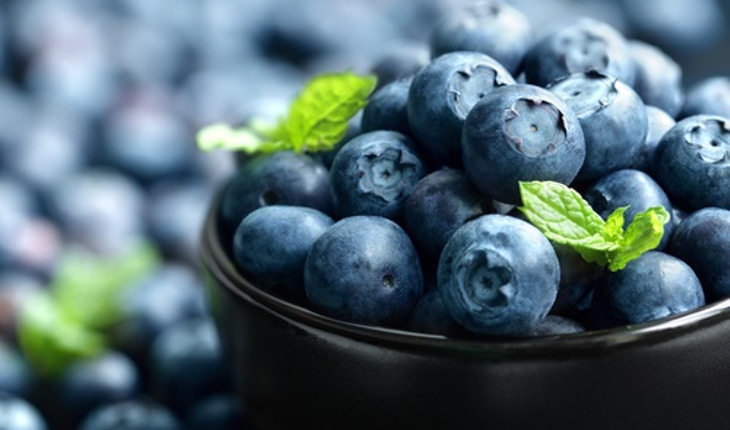 Daniel Grenier and colleagues wanted to see if blueberry polyphenols, which work against foodborne pathogens, could also help fight Fusobacterium nucleatum, one of the main species of bacteria associated with periodontitis. In the lab, the researchers tested extracts from the wild lowbush blueberry, Vaccinium angustifolium Ait., against F. nucleatum. The polyphenol-rich extracts successfully inhibited the growth of F. nucleatum, as well as its ability to form biofilms. It also blocked a molecular pathway involved in inflammation, a key part of gum disease. The researchers say they’re developing an oral device that could slowly release the extract after deep cleaning to help treat periodontitis.